April 2002 Chief Director, Special Committee on Responses to Armed Attacks, H.R. 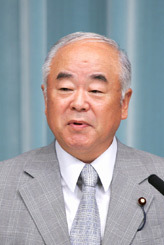 September 2001 Chief Director, Special Committee on Prevention of International Terrorism and Japan's Cooperation and Support, H.R. January 2001 Chief Director, Standing Committee on Budget, H.R.